What: Crowley Maritime Corp. will christen the first of four new, Jones Act product tankers tomorrow, at the Tampa Cruise Terminal. The 50,000 dead-weight-tons (dwt), 330,000-barrel-capacity ship named Ohio is the first tanker ever to receive the American Bureau of Shipping’s (ABS) LNG-Ready Level 1 approval, meaning Crowley has the option to convert the tanker to liquefied natural gas (LNG) propulsion in the future. 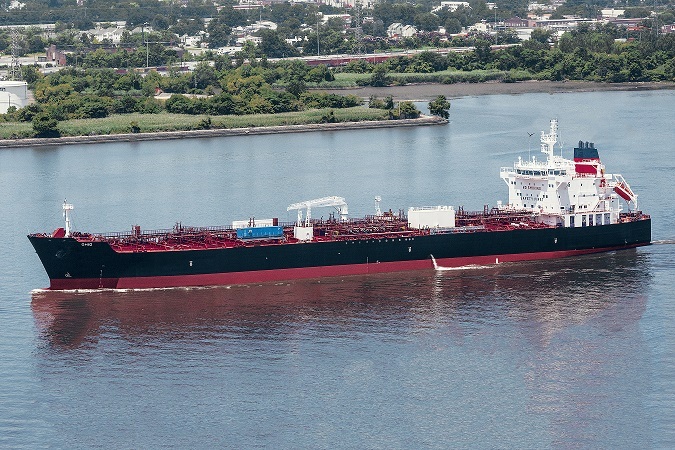 The tanker is part of Crowley’s industry-leading, vessel build program. More than 100 guests will be in attendance as Pamela Beall, president of MPLX, a Marathon Petroleum Corporation subsidiary, will perform the time-honored tradition of christening the vessel by breaking a ceremonial bottle of champagne across the hull of the vessel. When: Tuesday, November 3. Vessel tours begin at 9:00 a.m. (Flat-soled shoes and a photo ID are required for vessel tours.) Christening ceremony begins at 10:00 a.m.
Where: Tampa Cruise Terminal 6, 1333 McKay Street. Tampa, FL 33602. (Parking is adjacent to the terminal). Additional background: Ohio was constructed by Aker Philadelphia Shipyard, Inc. (APSI), the wholly-owned U.S. subsidiary of Aker Philadelphia Shipyard ASA, with construction management services provided by Crowley’s Seattle-based, naval architecture and marine engineering subsidiary Jensen Maritime. The remaining three product tankers are also being built by APSI for Crowley and have planned deliveries through 2016. The new tankers are based on a proven Hyundai Mipo Dockyards (HMD) design which incorporates numerous fuel efficiency features, flexible cargo capability and the latest regulatory requirements. Ohio is 600 feet long and is capable of carrying crude oil or refined petroleum products. Under direction of Captain Dan Loewer and Chief Engineer Donald Routley, the vessel has made two voyages to date carrying clean petroleum products to Florida.